I’m Hils Crisp and I’m a Marketing Confidence Coach & Business Mentor for women with heart-centred, service-based businesses. 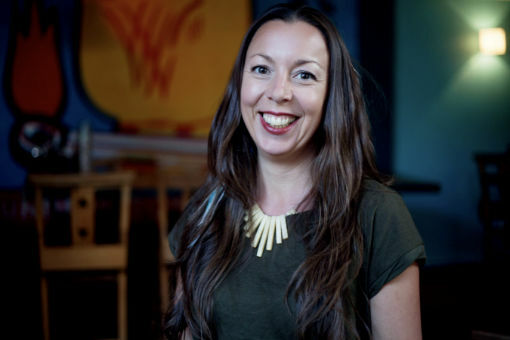 I work with independent businesswomen who want more clients, more income and to grow a thriving business, but who struggle to know where and how to find clients, what marketing to do and how to do it well and the necessary confidence to put themselves out there. 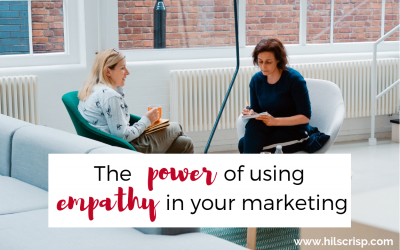 I coach and teach them all the marketing know-how they need so they feel empowered to market their business confidently, authentically and effectively and can market their business in a way that feels good to them. 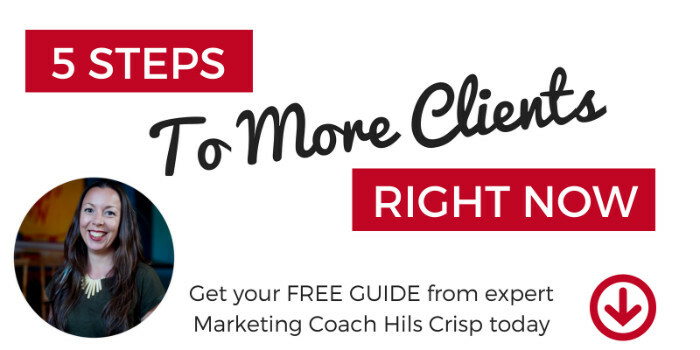 I’m Hils Crisp and I’m a Marketing Confidence Coach & Business Mentor for women with heart-centred, service-based businesses. 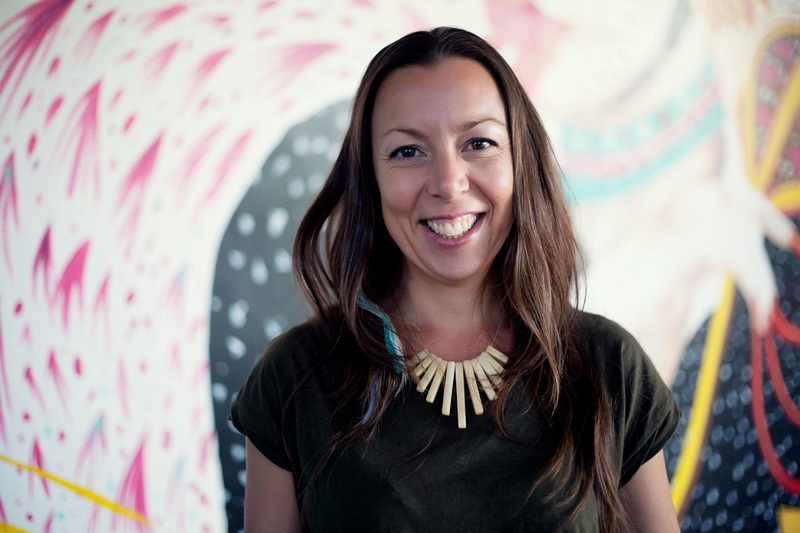 I work with independent businesswomen who want more clients, more income and to grow a thriving business, but who struggle to know where and how to find clients, what marketing to do and how to do it well and the necessary confidence to put themselves out there. I coach and teach them all the marketing know-how they need so they feel empowered to market their business confidently, authentically and effectively and can market their business in a way that feels good to them. By entering your details and clicking 'YES Please' you consent to receive my regular email newsletter to get free tips, tools, blogs, videos etc as well as promotional offers to help you market yourself more confidently, authentically and effectively and grow a thriving business. I will look after your personal data in accordance with my privacy notice: https://hilscrisp.com/privacy-notice/ . You can unsubscribe any time. I also love bringing women together for mutual support and encouragement, because when women come together, magic happens. I have a fabulously supportive and friendly Facebook group called The Courageous Business Women’s Collective. You’ll get a daily practice, Facebook lives, free monthly calls plus special offers, to help you cultivate more courage, confidence and self-belief AND the practical skills you need, so you can market yourself more confidently and effectively. You’re welcome to join us, check it out. I really enjoyed the Price your Services Confidently workshop. Hils created a very supporting and nurturing environment for us to be able to open up on such a loaded subject as money and pricing. She has given us a lot of very actionable tips and tools on how to determine our prices as well as saying them with confidence. I believe you are here to live your Heart’s Truth (aka soul’s purpose) with courage and confidence, to dare to dream big (and really go for your dreams), to be fully and authentically YOU and to share your unique gifts. Can you envision a world where everyone thrives in abundance and fulfilment, by sharing their unique and amazing gifts? I love helping women who want to make the world a better place, to successfully express their unique gifts and passion through their work AND make the income they want so they can have the life they desire. If this is you, check out ways to work with me here. What a brilliant workshop covering a lot of essential material for any businesswoman. It’s amazing how one can have a great skillset but not necessarily be automatically great at selling one’s services and also marketing them. Really the value of this workshop is way beyond the price paid for it. I feel sure that any entrepreneur, no matter what their service area is, would benefit hugely from going through this process with Hils. She makes it fun, clear, interactive, and holds a very safe and grounded space throughout. I gained lots of insights and feel way more equipped to move forward with a great set of new tools. If you want to step up your game, and be better rewarded and clearer for the amazing work you offer (or know you want to offer), then I would recommend this as the best place to start. 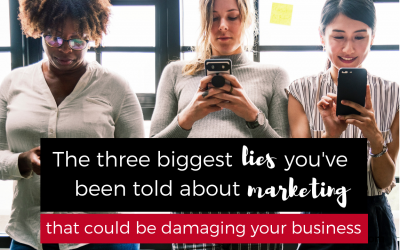 Discover the three biggest lies or myths about marketing your service-based business, why they don’t work and why they coud be damaging your business and keeping clients away. 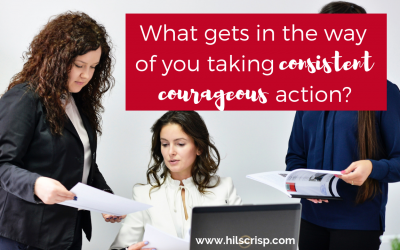 Learn what taking consistent, courageous action in business means, why you absolutely need to do it, what stops you from and how you can develop it.